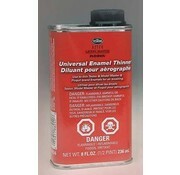 FEATURES: Use to thin enamels for airbrushing. 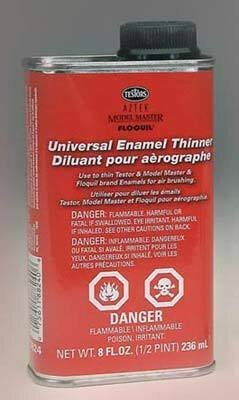 1/2 Pint can with safety lid. 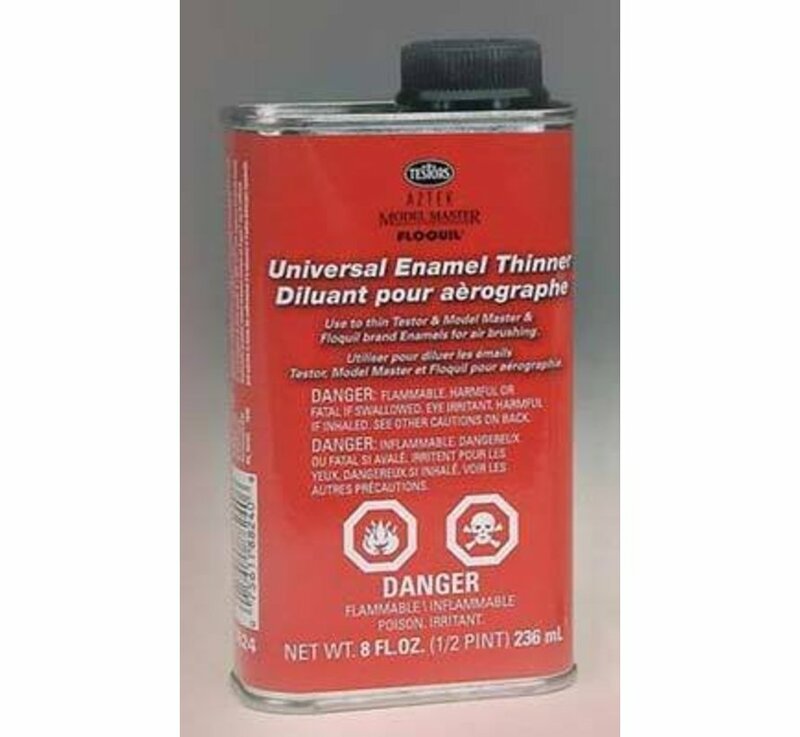 INCLUDES: One 1/2 Pint Can of Airbrush Thinner. COMMENTS: Not for use with water wash-up paints (acrylics).